Episode 3: Judgement – is here, and it is a jam-packed one. Judgement comes with plenty of twists and turns, a couple of bosses, some long-awaited character development, an intriguing cliff-hanger and – yes – ornament-based puzzles are back! So far the journey through Resident Evil Revelations 2 has been a fairly linear, clichéd fun ride (in the best possible way). Episode 3 brings in what has been missing from the series’ roots thus far. This episode is mostly Claire-based, and, as per previous episodes, is content to let us sit back and see events unravel, as Claire and Barry’s daughter Moira discover more secrets behind their predicament. Barry on the other hand, with young Natalia in tow, is getter ever closer in his attempts to find his daughter. The puzzles are nothing taxing – one a body organ fetch quest of sorts (you have to be there), others like traps out of a Saw movie – with most proving fatal unless success is achieved. One standout ‘puzzle’ moment is when Barry and Natalia must move a particular item from one location on a lower level all the way to where you started. 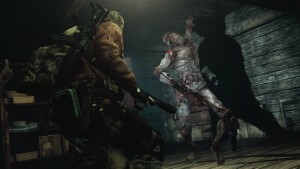 Both characters’ abilities must be used to keep any enemies at bay, of which there are plenty, whilst also using said item to access further areas to continue the item’s movement. It’s a refreshing segment even within Revelations 2, as most of the locations have been dark and bland corridors in almost derelict buildings. They are definitely a welcome inclusion, although feel a little ‘Resi by numbers’ by their sudden appearance, over halfway into a campaign that has pretty much been only action-oriented so far. Then there’s the bosses. As usual, they are T-virus-induced, vein pumping, tentacle-clad nightmares; one being a thrilling and tense encounter, the other a total dud. The boss fight in Claire’s tale is integral to the plot, definitely the more thought out, using clever set pieces, and testing the reflexes and health supplies. The other, which concludes the chapter, feels tacked on for the sake of an extra challenge, but is ultimately just an ammo-consuming mindless waste. For those wanting the top grades, this is guaranteed to mess it up. This episode also proves that Barry Burton is not just made up of cheesy quips; finally moving away from his ‘master of unlocking’ and ‘Jill sandwich’ legacy, and showing some humanity, an element sadly lacking in the Resident Evil universe as a whole. This episode also delves into Claire’s emotional connections to the events and those involved, although I felt these just served to leave little in the way of surprise for upcoming events. The plot is the biggest winner here, with events spiralling to the end with plenty of Revelations to come in the final chapter (yes, I just did that). The cliff-hanger certainly raises plenty of questions, and thankfully, we won’t have to wait long to find out what they. How they are resolved remains to be seen, which will be the biggest challenge of what is now a highly anticipated final chapter. Highly recommended. 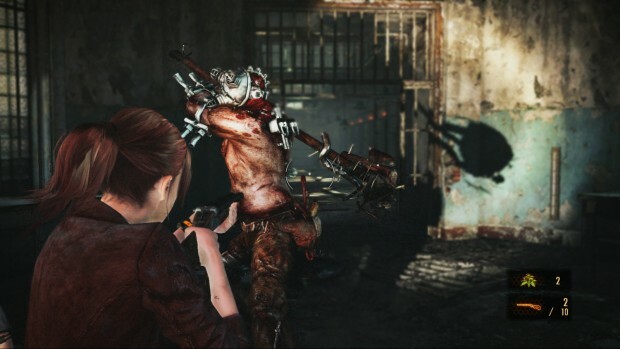 Resident Evil Revelations 2: Episode 3 is now available on PlayStation 4, PlayStation Vita, PlayStation 3, Xbox One, Xbox 360 and Windows PC.